XChat is an IRC chat program for both Linux and Windows. It allows you to join multiple IRC channels (chat rooms) at the same time, talk publicly, private one-on-one conversations etc. It has a choice of a tabbed or tree interface, support for multiple servers, and a high level of configurability. Both command line and graphical versions are available, although use of the graphical version far outweighs use of the command line version. Even file transfers are possible. X-Chat is a full-featured IRC client and includes all basic functionalities that are found in most other IRC clients, including CTCP, DCC file transfers and chats. Also it has a plugin system for various languages (including at least C or C++, Perl, Python, Tcl, Ruby, Lua, CLISP, D, and DMDScript). 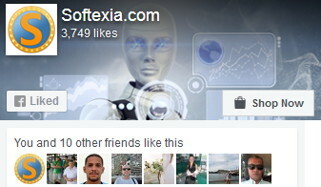 By writing plugins, one can extend the features and customize the functionality of X-Chat. X-Chat has two good features of usability: colored nicknames and alignment by text as opposed to alignment by nicks. When you read text, it’s enough for eyes to notice the colors of nicknames, which they can do when they are focused to somewhere else near, and you may know at once who is writing. Colors are inobtrusive and there just 6 of them – not to burden your short-term memory. And eyes don’t have to search for ends of nicknames, they can start reading text at once when text is aligned by the beginning. Various themes with graphical theme and font utility. 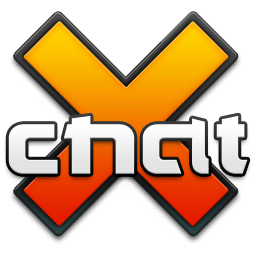 X-Chat runs on at least the following operating systems: GNU-Linux, FreeBSD, NetBSD, OpenBSD, Solaris, AIX, IRIX, Mac OS X, Windows 2000, XP, Vista or 7 and others. The balloon time is now adjustable via /set input_balloon_time <seconds>. The /Ghost command’s password parameter is now optional. Updated the default IRC network list with various additions. When switching tabs, made the treeview only scroll if the selected item isn’t visible. The Search/Find window can now be closed with the ESC key. Selecting an item in the nickmenu will now copy it to clipboard. New icons for notification area (systray). For the auto-join command, added an ‘x’ filler for empty keys. This works around a bug in ircd-seven. Lifted a limitation which only allowed the auto-join list to be 255 characters long. When a single channel-MODE changes, xchat will no longer re-issue a MODE request for the titlebar display, but figure the new modes intelligently. A favorite networks feature has been added to the network list. Added “Private Action”, “Private Action to Dialog”, “SSL Message”. Added “Identified text” parameter all the ‘action’ events. Added a $3 parameter to “Server Text”. Added DCC fields ‘poshigh’ and ‘resumehigh’.